With Dolby Atmos, DTS:X and Auro-3D, Marantz’s SR7012 is one of a handful of receivers to boast this trio of sonic processing suites straight out of the box. One step down and considerably more affordable than the brand’s flagship SR8012 AVR, could this £1,000 model be the sweet spot for object-based audio value? With the HEOS AVR, Denon has taken everything you think you know about AV receiver design, and filtered it through a multiroom prism. Pointless legacy inputs and 1990s design chic are traded for multiroom streaming and app control. You don't even have to trail speaker wire around your living room. Few would argue that the AVR is long overdue a rethink, but is this the right direction for tomorrow’s home cinema? Denon’s AVR-X6300H comes to the home cinema receiver market with a spec sheet hotter than Megan Fox in a stolen hot tub – but the headline news is its 11 channels of onboard amplification for a largescale Dolby Atmos, DTS:X or (optionally) Auro-3D experience. That means no more fiddling about with external power amps for 7.1.4 sound. It's getting hard to find many points of difference between AV receivers around the key £500 mark. Pioneer's VSX-1131, originally priced £550 but available now for less if you shop around, offers a specifications sheet with few surprises, beyond the fact that it's very well featured indeed. Whatever you're hoping to find here, you probably will. When it comes to home cinema sound, the elephant isn’t in the room. The elephant is the room. It’s an inconvenient truth that no matter how good your multichannel sound system, the environment you listen in – and all those resonances and reflections – will have an inordinate influence on what you hear. Denon's AVR-X2300W is an AV receiver after my cash-conscious heart. Available for £500, it offers buyers at this price everything they will probably expect, all wrapped up in a neat design and delivered with a welcome understanding that those investing in home cinema separates may still be AV novices. It's a tempting time to upgrade your AVR. With a rising tide of 4K content requiring HDCP 2.2 copy protection, UHD 2,160p displays and object-based audio formats, the stars are aligning for those eager for a movie theatre makeover. And if you’re prepared to shop at a higher level, there’re precious few compromises that need be made. 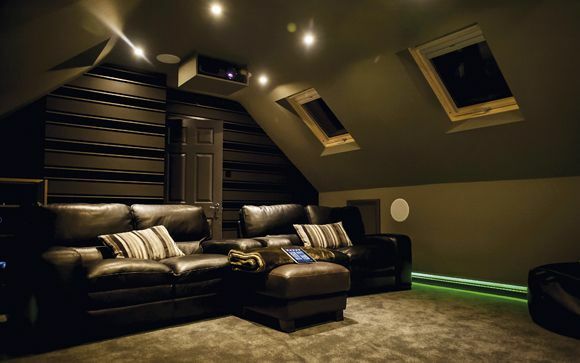 The home cinema industry has been in something of a rut since the financial meltdown of 2007, with gaping holes where much of the high-end market used to be. But Arcam's AVR850 – its latest flagship AV receiver – has me thinking we may be seeing the light at the end of the tunnel. With Dolby Atmos and DTS:X in its armoury, the Pioneer SC-LX89 is currently the brand's best-dressed AV receiver. No stone has been left unturned when it comes to advanced functionality. But is there more to this badass box than high-tech feature overload? It’s easy to forget that Yamaha effectively invented the home cinema receiver market. When screens were square and multichannel audio was young and frisky, it pioneered with monster AV receivers that became things of legend. Back then, DSP was Definitely Something Profound, and Yamaha wrote the rulebook on soundfield design.